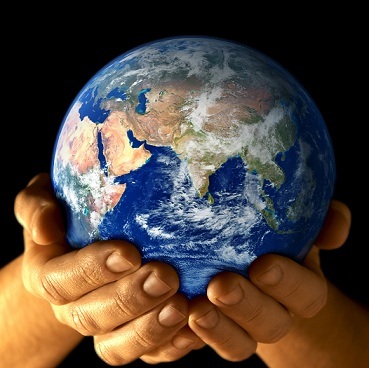 The number of international branch campuses operating worldwide hit 249 in 2015 after more than a decade of steady growth, research from the Observatory on Borderless Higher Education has shown. China has overtaken the UAE as the country hosting the largest number of IBCs, while the overseas expansion of US and European institutions is driving growth. International branch campuses have proliferated in China in recent years. One of the earliest was the University of Nottingham's Ningbo campus. 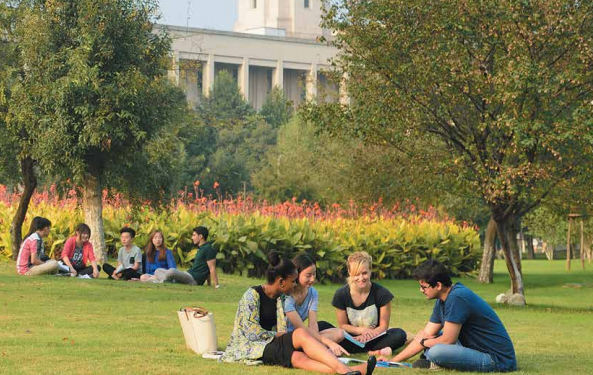 Photo: University of Nottingham Ningbo. The International Branch Campuses – Trends & Developments report shows a 26% rise in the number of IBCs since 2010, factoring in those that have closed or changed status. At the end of 2015, there were an estimated 180,000 students enrolled at IBCs. Though this is “a significant number in absolute terms”, the growth of IBCs has remained constant since 2000 and there are some 20 IBCs currently being developed. An international branch campus is defined in the report as an entity that is wholly or partly owned by a foreign education provider, operated in its name and providing an entire academic programme leading to a degree awarded by that provider. 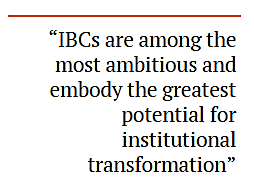 “IBCs may not be the most common form of cross-border higher education, but they are among the most ambitious and embody the greatest potential for institutional transformation,” OBHE’s chair, Drummond Bone, wrote in the report’s foreword. And though IBC enrolments still make up only a small portion of cross-border higher education, less than 4% of the world’s five million international students, the report forecasts that this number will continue to climb. Growth in IBC numbers has remained stable over the past 15 years, with 66 founded between 2011 and 2015 – just one fewer than in 2006-2010. The pace of growth has slowed compared to the “gold rush period of the 2000s”, but the report suggests the actual number of openings could be higher due to a lag in reporting. The geographical spread of international branch campuses has widened in the last five years, with host countries up from 69 in 2011 to 79 in 2015. But although the majority of IBCs are located in developing countries, activity in Africa and South America remains sparse. Only four new IBCs were developed in Africa outside of the MENA region and just one in South America from 2011-2015. China now leads the pack with 32 IBCs, just ahead of the UAE, with 31. Singapore (12), Malaysia (12) and Qatar (11) make up the rest of the top five, which together host more than a third of the world’s international branch campuses. 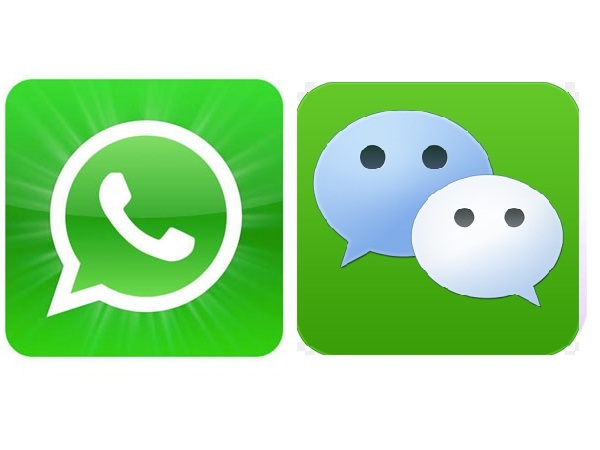 Commenting on the proliferation of campuses in China, Richard Garrett, OBHE’s director, stressed that that “It is not a matter of relative popularity” and observed that the UAE still hosts “far more” IBCs per head than China. “The main reason China has overtaken UAE is the sheer size of the former market compared to the latter, and effective IBC saturation in the UAE,” he told The PIE News. China’s lead has been spurred by young campuses sprouting up in the last five years – 16 have opened since 2011. Compared to five new IBCs in Malaysia, three in South Korea, and three in Mauritius. This rapid growth has occurred despite an earlier OBHE report’s findings that China may no longer be as fertile a ground for the development of IBCs as it once was, and that foreign institutions may instead favour more nimble models of delivery. Garrett predicted that more IBCs will take root in China in the coming years “but only when the interests of the foreign institution and the government align”. 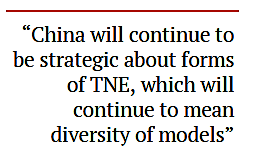 “I do think China will continue to be strategic about forms of TNE, which will continue to mean diversity of models rather than one type over another,” he explained. And home countries have also diversified, with IBCs coming from 33 different countries – up by 18% compared to five years previously. The US, UK, Russia, France and Australia are the home countries most engaged in opening up IBCs overseas, making up almost three-quarters of the total number worldwide. These countries are likely to continue to be most active in increasing provision overseas, the report predicts, adding that nearly half of the IBCs currently under development come from the US and Europe.